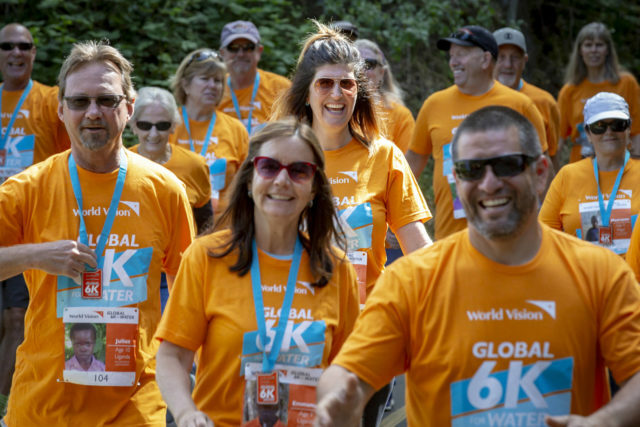 World Vision’s Global 6K for Water is a one-day event where people from all over the world walk or run 6 kilometers in their own neighborhoods to bring lasting clean water to children in need. Why a 6K? It’s the average round trip distance women and children in the developing world walk for water — water that is often contaminated with life-threatening diseases. Every step you take is one they won’t have to. When you sign up to walk or run the 6K on Saturday, May 4, 2019, you’ll provide life-changing clean water to one person! 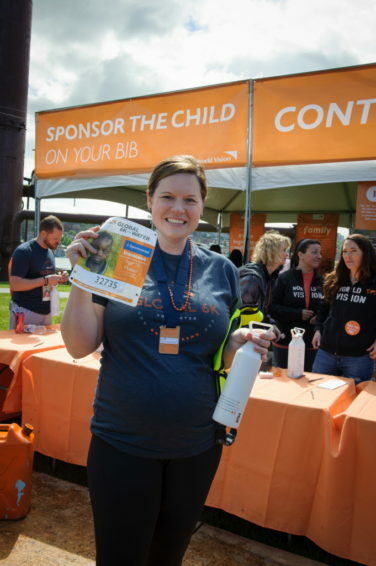 We’ll then send you a race kit with everything you need to walk or run your 6K, including a unique race bib with the picture of a child receiving clean water from World Vision’s water projects, a T-shirt, and a medal. After the 6K, you can even continue the relationship with the child on your bib by becoming their sponsor. 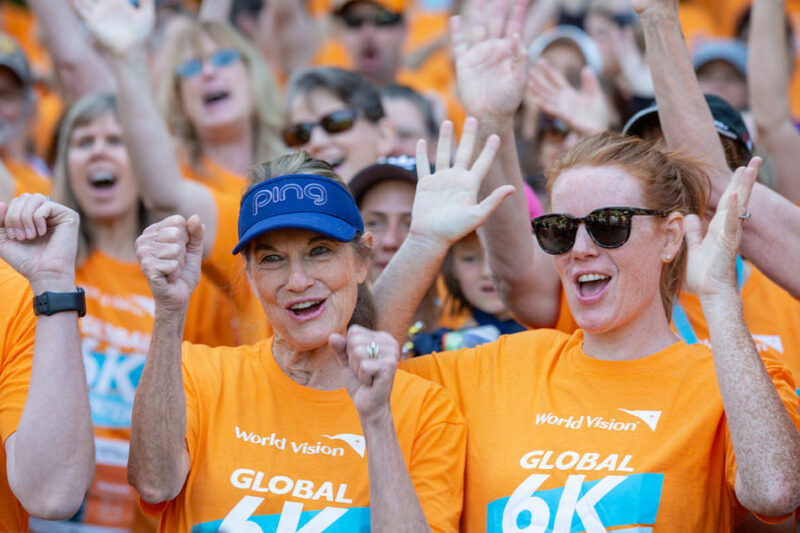 This year, she and her 12-year-old granddaughter, Kathrynn — whom she calls Lulu — are running World Vision’s Global 6K for Water together in preparation for another marathon. Wendy’s thinking about running with Team World Vision again in the Chicago marathon. The excitement was palpable on May 6, 2017, for families in Portage, Indiana. It wasn’t only World Vision’s Global 6K for Water at Real Life Community Church; it was the local high school’s much-anticipated prom night. Students and parents alike were excited to complete the Global 6K but also excited to get on to hair appointments, picking up corsages, and getting ready for the big dance. So about an hour-and-a-half after the 6K began that morning, pastors and volunteers started to close the course that about 75 people had completed to expedite the clean-up process. When a family — which volunteers thought were the final participants — came around the corner to cheers and the banging of cowbells, instead of first celebrating, they shouted to the crowd that Judy and Debbie were still on the course behind them. Suddenly everyone was in motion once again to restore the course. Brittany has signed up to participate again in the Global 6K for Water May 19, 2018, at Gas Works Park — this time with little Leo in a stroller. The last thing 7-year-old Kamryn Thackrey sees before she goes to bed each night is a photo of Cheru, a 5-year-old girl from northern Kenya, holding a tea kettle full of dirty water on her head. Cheru looks tired from walking 6 kilometers with her siblings to collect water for their family to use for cooking, drinking, and bathing. The photo inspires Kamryn and reminds her to pray for Cheru: that she would get access to clean water and not have to walk so far for it. 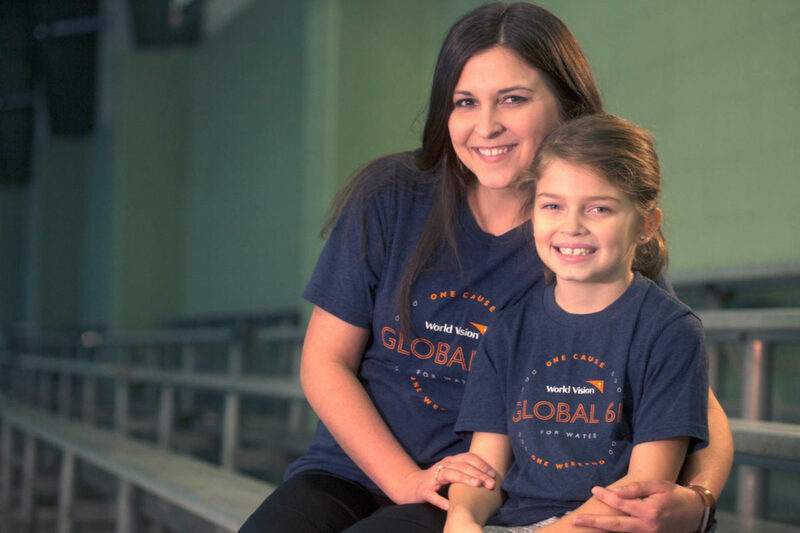 Kamryn and her family participated in the Global 6K for Water last year in their hometown of Flora, Illinois. The second-grader and her little sister, Abigail, spearheaded their effort to raise $1,200. That’s enough to help provide clean water to 24 people like Cheru. Kamryn’s journey with Cheru began early last spring. One day, her mom, Kari, was sorting through the mail and about to toss out the World Vision magazine, when the cover photo caught Kamryn’s eye. “Who is this? !” Kamryn asked. When Kari took her over to the couch to read it together, Cheru’s story brought Kamryn to tears. Cheru was 5 in the photo, the same age as Abigail. So Kamryn decided to do something about it. She and her family signed up for the 2017 Global 6K for Water. This was the first time they had done anything like this, but they knew it was the right thing to do. As they began fundraising and planning the race course, Kamryn shared Cheru’s story with her class, friends, family members, and kids at her church. She and Abigail made promotional fliers and posted a video on Facebook. Supportive parents and affirming comments on social media helped motivate the sisters to keep sharing Cheru’s story. “We were losing-our-minds excited when money kept coming in,” Kari says. The family charted their own 6K course and invited another family to join them. “We enjoyed being able to do it just on our own, rather than drive to a big event, but knowing we were part of something bigger,” Kari says. Kamryn is planning to host a bigger Global 6K event in her community and raise more money for water this year. Kari says they hope to rally a few more of Flora’s 5,000 residents to participate. “I want to try and do a big one at my church,” Kamryn says. She began promoting this one before Christmas. Kamryn has been praying expectantly for Cheru since last spring. She recently learned that Cheru and her community will be getting access to clean water this year. Not many 8-year-olds would use their birthday as an opportunity to give back, but on March 19, 2016, Luke Flowers from Phoenix, Arizona did. Instead of the usual games and cake, his birthday party went the extra mile — an extra 3.7 miles, to be exact. He invited his entire school to join him in running the 6K for Water, and on race day, Luke and 10 of his best friends ran together and raised $1,755 for clean water in Africa. “I decided to run because I thought it would be fun, and it was,” he says. Luke encourages running the 6K with a group because not only is it more fun, but more runners equals more impact. He enjoys organizing friends and family to make a difference, and he loves knowing that this race will help change the lives of people who live without access to clean water. Jessica Flowers, Luke’s mom, says Luke’s birthday was a way for him and other second graders to both celebrate and do something for others at the same time. “This was a great way to introduce the kids to World Vision’s mission and give them a chance to give back,” she shared. “They were proud of themselves for running and proud of themselves for making a difference. Malinda doesn’t love running, but “getting clean water to people who need it is life and death,” she says. That’s why she runs the Global 6K for Water. 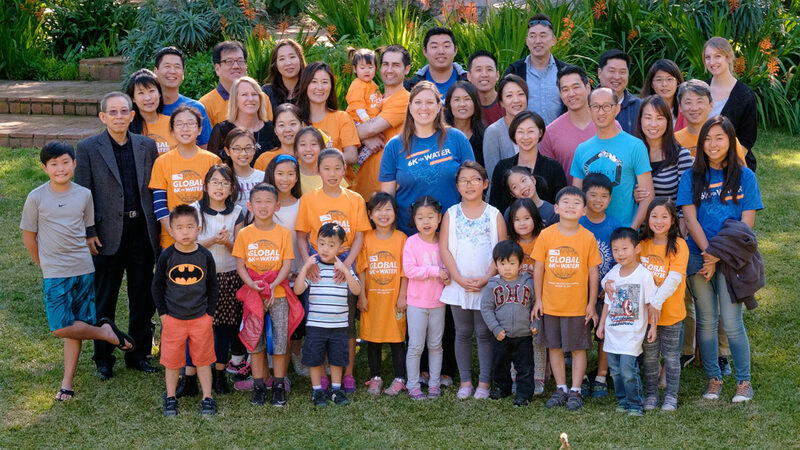 Malinda Fugate has known about World Vision “for what feels like a zillion years.” The 33-year-old from Torrance, California, has sponsored a child since 2003, and when she used to work for a radio station, she partnered with World Vision several times. But when she moved into children’s ministry work at her church, Faith Presbyterian, in 2015, her relationship with World Vision began to change. The first year they did the 6K for Water, more than 50 people participated at a local park, even though “it was hotter in L.A. than it was in Kenya,” Malinda says. Last year, her church partnered with another church, and more than 70 people joined the event. The 6K sparked questions in the children who participated. “Kids started thinking outside of the box,” she says, asking questions about children living in poverty. 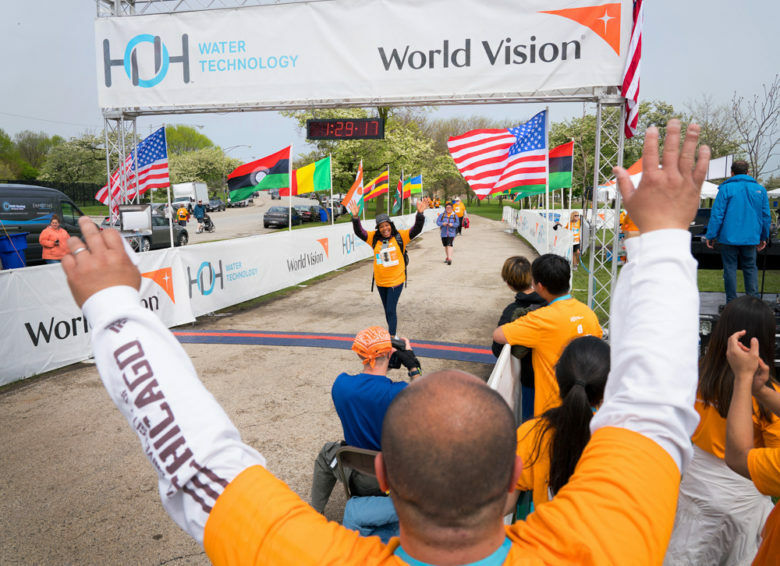 Iza Narciso had just completed World Vision’s 6K for water in Chicago last year — she was breathless, sweaty but full of joy: She had come full circle to get out of poverty. Her post-race video interview captured a moment of profound healing for Iza, who grew up in Angola walking miles every day in search of water. Each step of the 6K in Chicago reminded her of her own struggle and the struggle of millions of women and children who walk for water. When she found water, there were often crowds; people fought to fill their jugs before the source ran out. 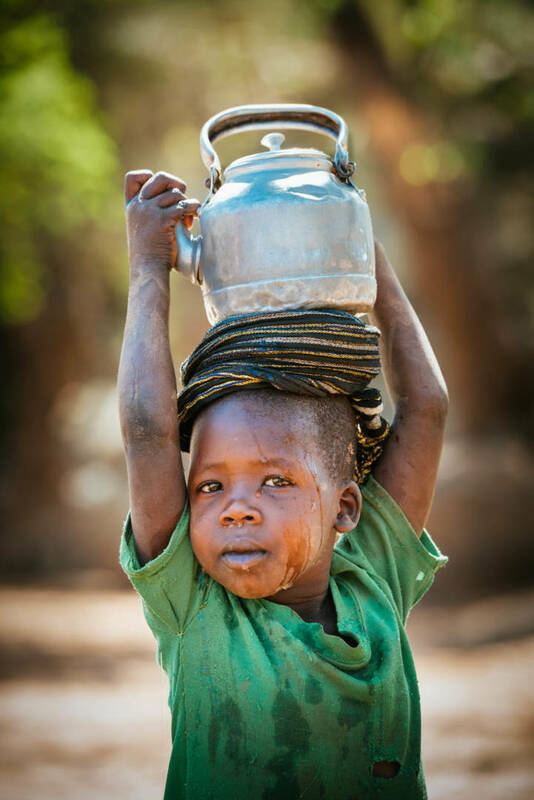 And walking back, while balancing a heavy jug on your head, other children would ask for water, “but you have to keep walking because your family is counting on you for this water. “So you get home with a little bit of water,” Iza remembers, “and this water is just so precious. Every bit of it is counted.” She remembers long excruciating nights of going to sleep thirsty as her mother strictly rationed their water. As young children, Iza and her sister fled civil war in Angola. A social worker at a refugee center in Belgium essentially adopted and raised them, she says. Iza came to the United States to study at Loyola University, receiving a degree in literature. She now owns a daycare in Chicago. Last year, members of Team World Vision came to her church and spoke about the 6K for water event. Because of her past, she was intrigued and signed up. But she was unprepared for the emotional impact. “All of those people, warming up early on a Saturday morning, getting ready to run 6K, 7, 8, 9. And emotionally my heart was getting bigger and bigger. I couldn’t really handle the emotions. I was trying to search — why am I feeling this way? Why is this becoming so overwhelming for me? It was a healing moment — healing from the trauma of seeking water as a child. She looks forward to the upcoming Global 6K for Water and has adapted the 6K for the toddlers at her daycare. The children dress in orange, use sippy cups at the water stations and run a lap around the park. 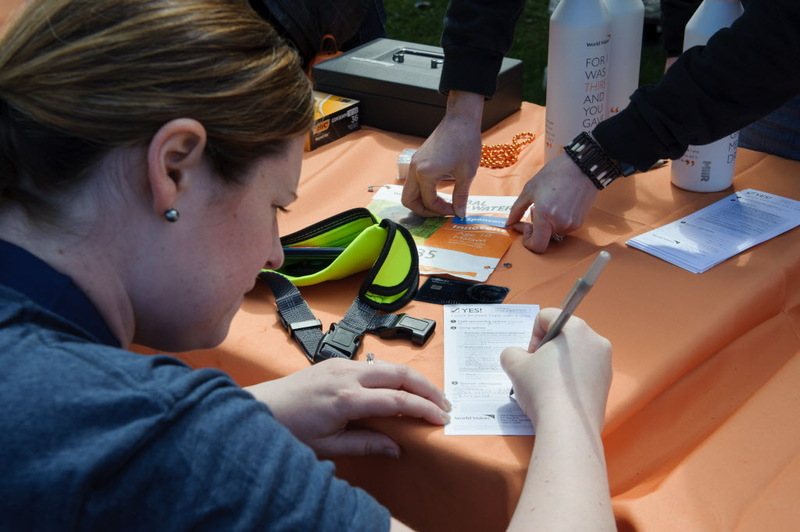 Money raised at the event last year was used to sponsor children through World Vision. Photos and videos of children in need of clean water haunt Iza. But the realization that the children walking miles for dirty water were not forgotten and people were walking, running, and doing what they could to care for them is healing the trauma of poverty. “I just want to say thank you for doing it for me,” Iza says. “You’re allowing me to stay alive. I wish I could do more. But you’re not just helping the kids in Africa; you’re also psychologically helping the adults like me. California mom Kianna Lyons doesn’t take water for granted. But she’s not only concerned about the water shortages that have affected southern California where she lives. She has a heart for moms and children in sub-Saharan Africa who walk 6K (3.7 miles) daily to bring home dirty water, and she’s determined to do something about it. Kianna has chosen to join World Vision’s Global 6K for Water. Like last year, she’ll walk with her husband and three children — ages 2, 5, and 7 — and other members of Highland Avenue Community Church of the Nazarene in Rancho Cucamonga. “Clean water — this is something everyone should have,” says Kianna. She’s certain of that. When she first heard about the 6K at her church, she was less certain about participating. “I’m not a runner at all!” she says. Kianna and her husband wondered if they would be expected to run. And what would they do with the kids? 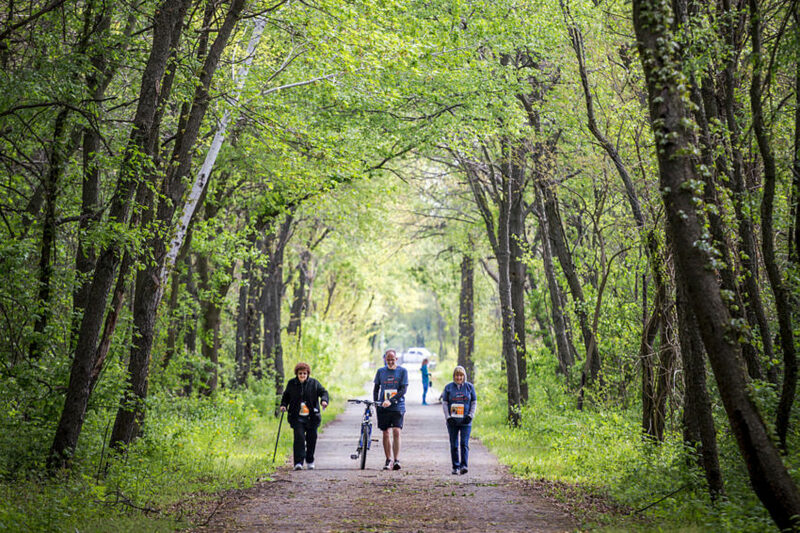 They were quickly reassured that runners, walkers, and stroller pushers are all welcome. “I bet he plays basketball,” said Owen about the boy whose picture they pinned on his shirt. Maya was determined to finish the course for the little girl whose picture she wore. Kianna has kept the bibs because the 6K was such a great memory, she says. It’s important to Kianna that her children understand what God has given them and give back. Her family has not always been able to do all she would like for others. Now it has become a top priority to her and her husband to model generosity for their children. Eighty people were expected for Highland Avenue Church’s first 6K, but even more joined the walk. Son Owen was quick out of the chute and confident of finishing strong. But after about 4K, “everything began to break down,” Kianna says. Owen was flagging; Maya and other youngsters needed piggyback rides. Kianna realized then what a powerful experience and a “teaching moment” the 6K could be. She reminded Owen that while the 6K was a once-a-year event for him, other children walked that far every day for water. That’s when he remembered: They carried water; he carried nothing but the bib on his shirt. This year Owen knows exactly why he’ll be walking the 6K. In their first 6K, Highland Avenue Church’s participants ranged from “babies in strollers to kids on shoulders, kids riding scooters and bikes, all the way up to a man in his 90s,” says Pastor Gabriel (Gabe) Martin. Pastor Martin’s five kids — ages 3 to 13 — took part. Like Kianna, he embraced the opportunity to broaden their understanding of their place in the world. Walking the 6K together was a blessing and a transformative experience for his church family as well. Congregation members who had only seen each other in the pews found time to talk. They met parents and kids from the preschool attached to the church. The choice to walk a 6K was an easy one for Shurawl Sibblies. Part of the appeal was a family activity. A little bit was staying healthy. Then there was the faith motivation — wanting to serve people less fortunate. The global water crisis is staggering. Worldwide, 663 million people live without access to clean water, and those in sub-Saharan Africa have it the worst. There, women and children spend a total of 20 million hours every day collecting water. They walk an average of 6 kilometers (about 3.7 miles) a day to get the water they need for drinking, cooking, bathing, and washing. So last year on a cold spring day, Shurawl walked and ran a 6K with her family — her husband, Winston; then-13-year-old daughter, Sollande; then-8-year-old son, Matthew; and her church community from Hopewell Reformed Church. The 6K was right up Sollande’s alley; Matthew was more reluctant. But when Shurawl asked him, “Wouldn’t you like to help another child? Think of how much you have,” he agreed to join the rest of the family. That’s the bonus appeal of the 6K for Shurawl — instilling good values in her kids, like thinking of others first and missional living. After receiving their race bibs in the mail — each with a child’s name, age, and photo — the family prayed together for the children on their bibs. 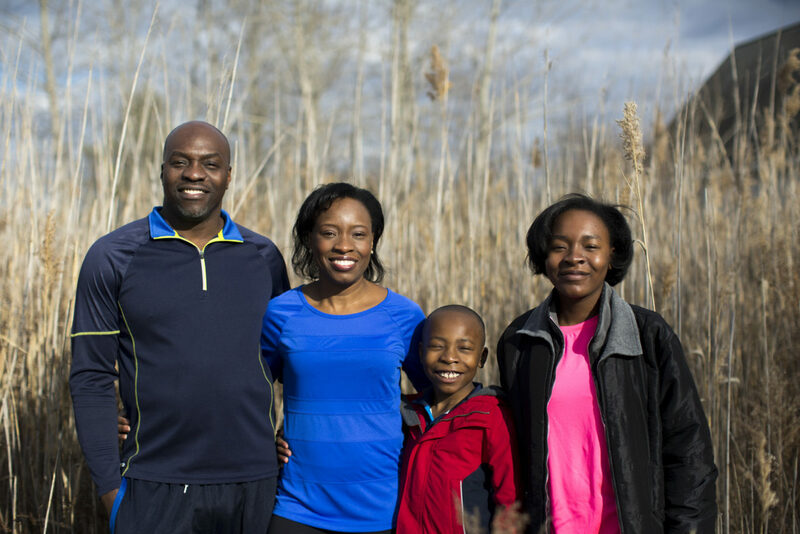 This year, Shurawl and her family are again signed up for the Global 6K for Water. As Johgina Densmore walked along Lake Michigan on a bitter November day in 2014, 20-mph winds pelted the lake water at her, repeatedly stinging her face. But the fierce winds would not deter her and her best friends from finishing their walk in Chicago. Too much was riding on them finishing — they were walking a 6K with World Vision to bring clean water to children and families in Africa who walk the same distance every day to get dirty, contaminated water. “It was God who got me through those 20-mph winds on the lake,” 52-year-old Johgina says. 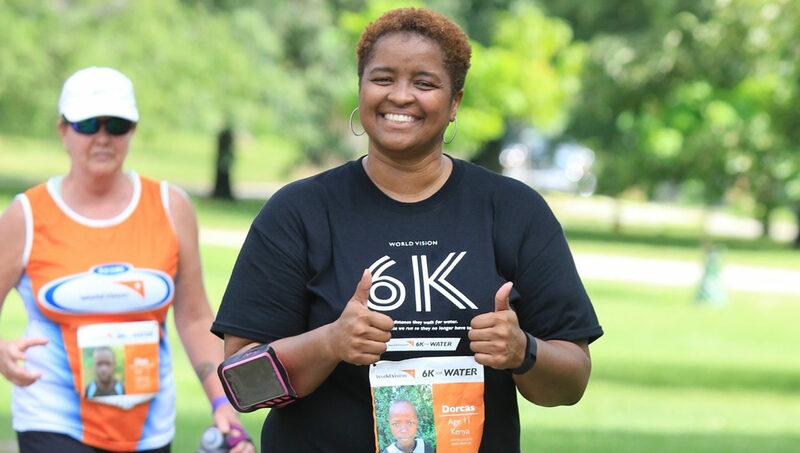 Despite not being a runner, when Johgina learned about the lack of access to clean water many families face, she signed up for the 6K event with Team World Vision to raise money to do something about it. And in two-and-a-half years since that race against the harsh winds, her first step has multiplied into thousands — all making a difference in the lives of children halfway across the world. Johgina already was making an impact on a community in Kenya by sponsoring a child with World Vision. But when she first heard about the 6K in 2014, despite knowing the need so many faced in the world, because of her sponsorship she was shocked to learn how many people don’t have access to clean water. She learned that her entry fee would help provide clean water for one person, and it inspired her to take the first step and join the event as a walker. “I am not a runner. I am a zero runner. I walk, jog, walk — and my jog is just a little faster than my walk,” Johgina says with a laugh. She convinced her best friend, who competes as a triathlete, to join too and walk with her on that cold November day. The two finished, feeling empowered. Johgina’s steps began to multiply in 2015 when she shared what she’d learned about water with friends from church and work. 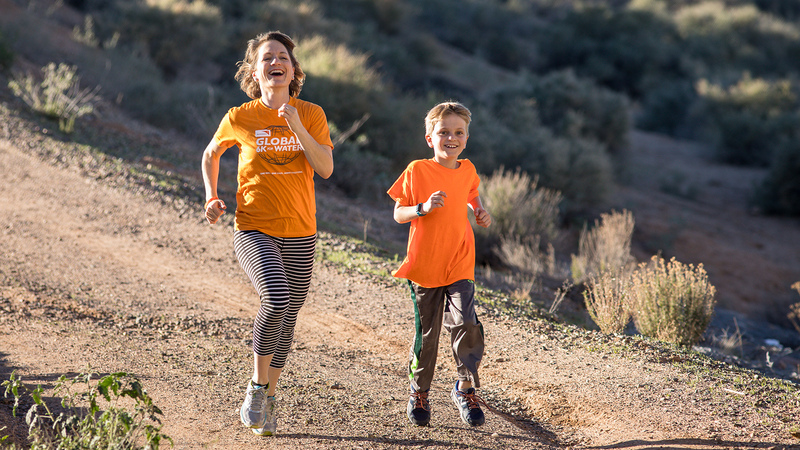 They were inspired to join her in the 2015 6K — this time during a warmer month. That year, about 15 of her friends participated with her. People stepped up, no matter their circumstances. One man didn’t even have proper shoes for the event, but she assured him he was going to be fine. On race day, Johgina and a team of more than 150 people walked and ran the Global 6K’s 3.7 miles together — a far cry from that first race she walked with just one friend along Lake Michigan. On race day, Johgina made an even bigger impact by deciding to sponsor another child: a little girl from Kenya named Dorcas, whose picture was on her race bib. This year, Johgina wants to multiply her steps even more. She’s praying to double her team for the 2017 Global 6K for Water on May 6, and she’s already recruiting family and friends to join her. “You don’t have to be a runner to make an impact,” she tells them. “You can make an impact just by walking. If you jog, you jog. If you run, that’s great. You have to look at the bigger picture. 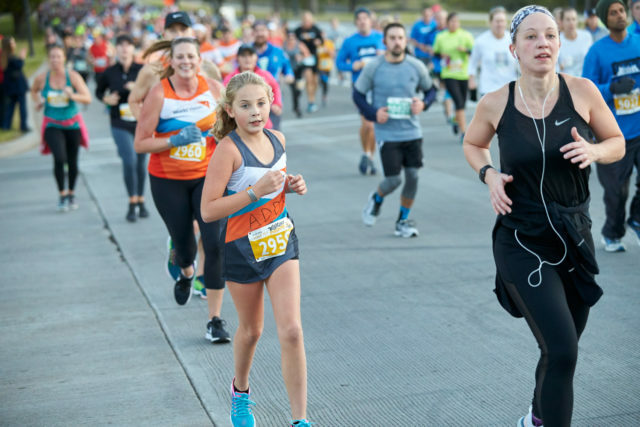 Elisabeth Morton was one of the last to cross the finish line during the World Vision 6K for Water in Chicago last year, but she collapsed in joy anyway. 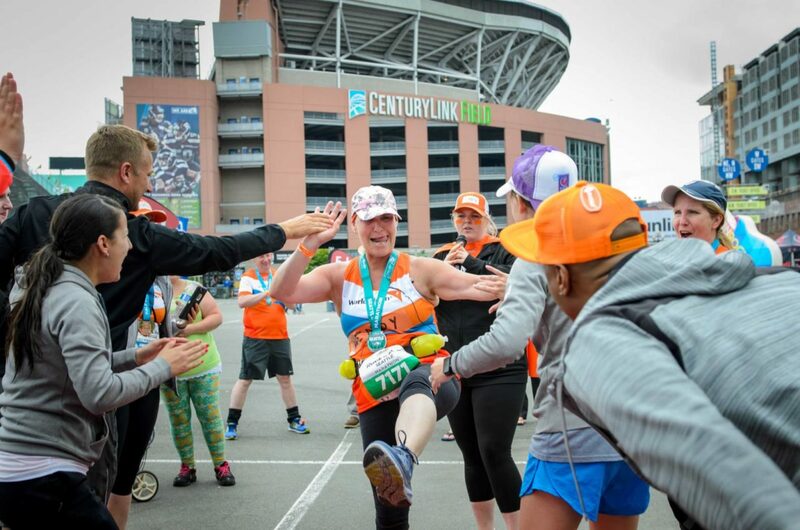 Nobody thought she could finish the race, which raised money for World Vision’s clean water work in Africa. The run was about more than reaching the finish line for Elisabeth, who suffers from an unexplained health condition. Starting in 2012, Elisabeth couldn’t eat or drink without excruciating pain, and while her diet contained the fattiest foods possible, she lost half of her body weight. Doctors still haven’t figured out why. Just before Christmas that year, she was attached to a feeding tube, which was replaced five times in 17 months. Throughout it all, Elisabeth’s faith radiated to the medical staff around her as she confidently prayed for God’s sustenance and healing. Miraculously, in May 2014, she had improved enough for doctors to remove the feeding tube. Slowly Elisabeth regained weight, but her ability to eat remained restricted. Nevertheless, when a friend at church invited Elisabeth to join the World Vision 6K for Water, she decided to run. She started running that summer, at first one block. Then a second block. She slowly linked those blocks together, building stamina and raising pledges for clean water in Africa. By the time the November race day arrived, determination consumed her. Despite 20-degree temperatures and extreme wind that sent Lake Michigan waves splashing runners as they raced, Elisabeth persevered. When she crossed the finish line, everyone was amazed. Elisabeth is training to run the Chicago Marathon with Team World Vision and raise even more for clean water. Her medical condition hasn’t improved, but she still sees God’s goodness in her life.